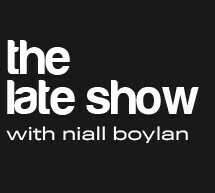 Niall Boylan of Classic hits Radio; great show on the adverse effects of antidepressants. Last week on Classic hits 4FM, Niall Boylan did a show on the overprescribing of Antidepressants and the dangerous adverse effects of these drugs. There was 2 medical professionals on the show, Dr. Moira Dolan from Texas and Dr. Harry Barry from Ireland. Dr. Dolan talked about how antidepressants have been involved in the majority of school-shootings around the world. She also spoke about Akathisia: an adverse effect of these drugs that the pharmaceutical companies are well aware of but the majority of the public are not. Akathisia is an adverse effect of these drugs which can cause a person to commit suicide and suicide/homicide. Well done to Classic Hits 4FM for allowing this Doctor to warn the Irish Public. Dr. Harry Barry didn’t have much input or opinion on the fact that these drugs can cause suicide and/or homicide. I guess that’s his right. Dr. Barry was the guest speaker at the launch of Lundbeck’s Mental Health Barometer. Lundbeck make the antidepressant Cipramil, the same drug that Shane was on and the same drug which caused my lovely son to commit murder suicide after 17 days. Harry also gets a mention in Lundbeck’s ‘Lean on Me’ campaign. In my opinion (and I’m entitled to have one) doctors can of course be linked to pharmaceutical companies, it isn’t a crime, BUT if people are dying from these drugs, at least give all the information. Anyway, I came on the show after Harry left, so I missed the opportunity to ask him directly about his relationship with Lundbeck. Maybe I’m being a bit hard on Harry, maybe he truly isn’t aware of how corrupt Lundbeck are; if he isn’t, I apologise. Previous postMy rights as a mother; my appeal to P.J.Cowen. Next postMedical experts meet in Leinster House. Moira Dolan certainly came across much better than Harry Barry. Would love to see the images of a brain disorder he mentioned. Thanks Truthman…just maybe, we will get somewhere. Harry Barry says : “for some people medications has worked for some it’s totally inappropriate” .. This implies that the prescribing is guess work and purely based on arbitrary opinion? Who decides if it is appropriate? Who decides if it’s going to work? “Akathisia occurs in 75 % of cases across the psychiatric drug class” (including SSRI’s). Dr Harry Barry seems to be fascinated that depression has existed for millennia. Depression is an integral part of the human condition, it’s no real great mystery. It’s not a disease. It’s a human response. It’s despair. Hmmm, the worst thing that he said was “suicidality is not caused by the drugs”…read the literature Harry. There really is no excuse for a doctor who “specializes in mental health” to not know all the facts. Niall was excellent. Harry waffled a lot and Moira Dolan certainly had her facts to hand. Your contribution was superb. Well done once more- no missed opportunity where you are concerned. I hate doing these things but feel I have a duty to warn others. Irish doctors and psychiatrists certainly don’t warn, and worse, they actively deny that these drugs can cause suicide. Shame on them. I do it because of Shane, but I also do it because of all the other special people that have died as a result of being prescribed these drugs.